Things obviously changes after you have a child and you notice it throughout all aspects of your life. Every parent knows this, non-parents know this, I'm not making an earth-shattering statement here. But saying it and knowing it don't mean that you really understand how drastically things can change and I found that out this week. Parenthood is hard work, but just like any job, it's so much better when you're doing work you love. I LOVE being a mom. I love being <A>' s mom. I feel like I do a pretty good job. I mean he's a happy, healthy baby which is a good barometer of decent parenting in the infant stages of life. 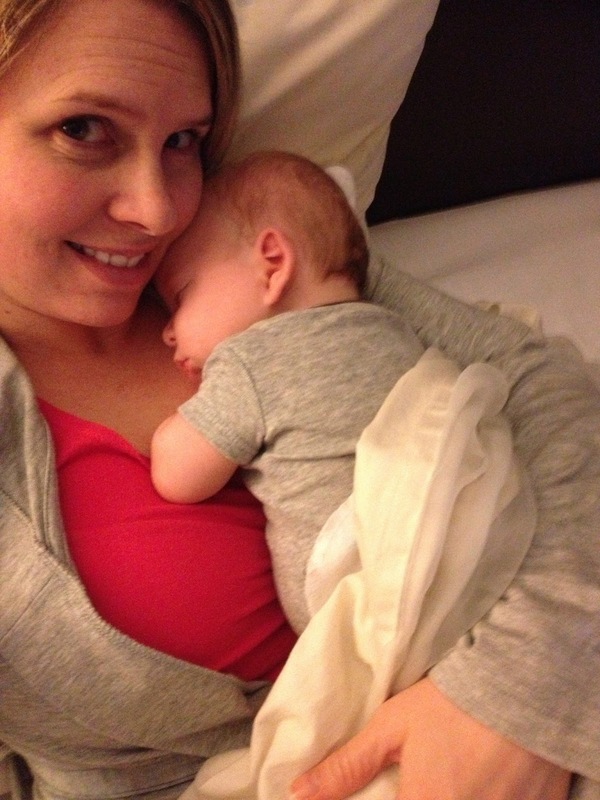 For me one of the hard parts of motherhood that was unexpected, is being sick with a sick baby. I have an amazing mom and husband and between the two of them I've always had someone to take care of me when I'm sick. Mind you, I'm not talking about anything serious, just the kind of sick when you stay home from work, but not quite sick enough to go to the doctor. Well I face a dilema today; my little man isn't feeling well and I also don't feel well. I just want to crawl into bed, turn out the lights and sleep all day, but <A> needs me and hiding under the covers isn't an option. He wants to me hold him because he has a nasty little cold and I just want to be held. He wants a bottle twice as often as usual because it feels better on his throat and I just want to chug ginger ale. His head hurts so he cries and I have a headache from all the crying. I'm not complaining. I signed up for this job and I love it. I'm just struck by the obvious example of how my life has changed and how blatant it is that my needs come second. This is just a tiny example of how motherhood changes your life. It's a change I prayed for, this is a change I wanted and I wouldn't change anything about it. If anything, it's made me realize (once again) how strong a mother can be. How strong our mothers are. The sacrifices they've made for us and how they have taught us to make similar sacrifices for our children. I hope I pass these kind of values onto my son someday, but until then I'll just try to comfort my little man through this cold. For all the new readers from Dreaming About Baby, thanks so much for stopping by. I hope you stay awhile and decide to follow me via Bloglovin or Facebook. Thanks for leaving such a sweet comment on my blog! I hope your little baby feels better soon! Thanks for following Kacie!!! I love your boutique. I have a feeling I'm going to be spending some of my next paycheck there!